Hashtag printing. What is it exactly? We'll give you the rundown on everything you need to know about the hottest trend in experiential marketing. What is a Hashtag Printer? It's all about the printed photo. The hashtag printer monitors a chosen hashtag(s) on Instagram and Twitter and instantly prints posts that include the hashtag as a custom branded print. 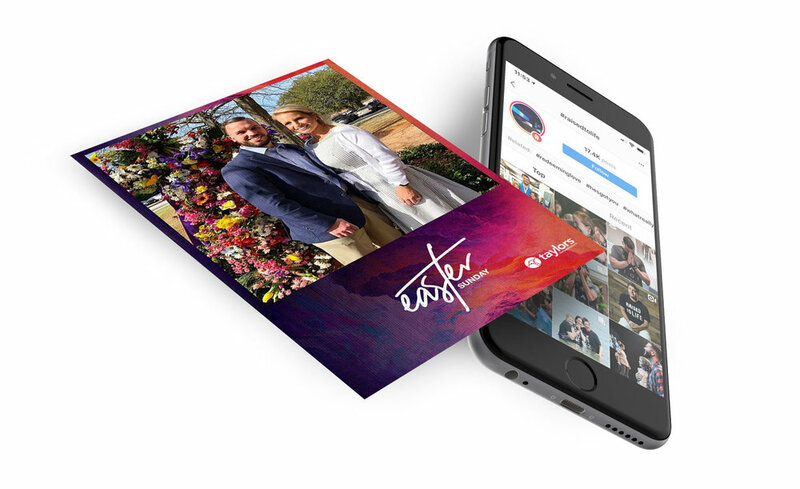 This allows attendees to tag the promoted event hashtag in their social media posts and in return they receive a free 4x6 printout of their photo. Hashtag Printing is a fun way to encourage attendees to take photos at your event and tag them with the proper hashtag and credentials. What is the Value in Hashtag Printing? Not only are hashtag printers great at promoting engagement online, but the hashtag printing setup is excellent at attracting attendees from the moment the event begins to the time the doors close. Although fast paced environments and short attention spans are now the norm, passerbys will actually stop, snap a photo and post to Instagram or Twitter if they know that they'll receive a free take home print within a few seconds of posting with the official hashtag. Add a background wall, instructional signage and fun props to the mix and you've got a fun and interactive tool that promotes engagement during the event. However, the invaluable benefit of hashtag printing is found in the post event social media analytics. You’ve likely heard that social media has the potential to be a powerful marketing tool, as well as increase brand awareness. Hashtag Printing promotes engagement on Instagram and Twitter, as well as encourages attendees to interact with the event hashtag, which in turn helps businesses expand their digital reach by having more interaction with their official accounts and promoted hashtags. Surprisingly, there isn't much equipment involved when you use Photoboxx. Setup takes less than five minutes and everything you need to run your event is shipped in a convenient travel case. All you need is power and an internet connection (and we can provide that too) to run Photoboxx successfully. Photoboxx has a very small foot print. Thanks to the simple set up process and user friendly software, we are able to ship Photoboxx anywhere around the world for any size event. Photoboxx can be easily managed by a member from your team, no event operators required. A Photoboxx will typically be delivered to you a few days before your event and sets up in less than 5 minutes. Once your event is over, stick a return label on the case and UPS will pick it up from your location. Photoboxx works seamlessly with social analytic tracking software, Socialdrip to provide you with real time analytics of your event performance. Socialdrip takes the guesswork out of social media tracking, that makes it easy to see data proven results that effect social media engagement. Measure ROI, organic reach, impressions and your top influencers. Plus give access to your entire team. We offer several fully comprehensive packages that are tailored to your brand. From one day rentals, several month long campaigns to life long purchases, we've got you covered. Read more about our packages here. We've got you convinced? Reach out for a quote. Older PostRent, Lease, Buy: Which package is right for you?